So you’ve taken an LSAT practice test , good work! Now you’ve come to the equally important part of the test–reviewing your answers. If you don’t review your practice test, you’ll truly miss out on so many crucial lessons about the test and yourself. By reviewing, you’ll figure out your weak areas, your strengths, and what you’ll need to do to improve and move forward. So if you’re ready, take a look at these top tips for reviewing an LSAT practice test. Don’t discard your old tests! Out of all sections, the logic games are the most reusable and useful resource. It’s generally very difficult to remember all of the details of a logic game, unlike with reading comprehension passages or particular logical reasoning questions. So if you find that you got 4/5 questions wrong on one game, or found it too hard to tackle at all, you’ll definitely want to revisit it the next day. Keep repeating that logic game until you get 100% in a reasonable amount of time! So if logic games are the most reusable, what can be done with the other sections? Well you would most likely have found quite a few new vocabulary words that were challenging. Maybe you got a question wrong because of a difficult word like “recapitulate” (to summarize and give the main points of something). To be sure you don’t get tripped up again, it’s a good idea to create flashcards as you review. Finally, one of the best ways to review your test is to talk about it with others! For sure, you can seek help from a tutor, a web forum like Reddit, or friend for the answers you got wrong. But you can definitely go beyond this. Why not solidify the skills you have by helping others on your strengths? If you confidently answered and got a question right, there might be someone out there missing a great explanation of that question. By preparing an explanation after your review, you can further ingrain the right thought process in your head. Or, most importantly, catch yourself if you got it right for the wrong reasons! 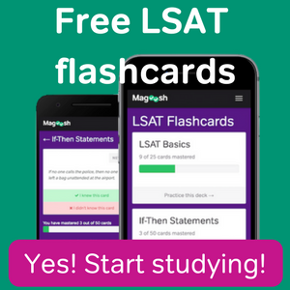 In-depth thought is really useful for the high-level ideas you’ll find on the LSAT. 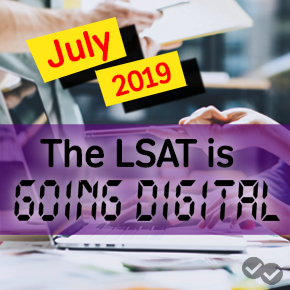 If you consistently follow these tips and make the most out of each limited practice test you have, you’ll put yourself in a great position to maximize your LSAT score! 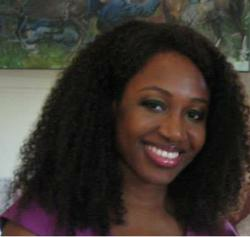 Deborah earned her undergraduate degree from Brown University in 2010 and MBA from Salve Regina University. She scored in the 96th percentile on the LSAT and loves finding better ways to understand logic and solid arguments. When she’s not teaching, she enjoys volunteering, reading adventure fiction, and adding tech skills to her toolbox.